These make a nice on-the-go snack! I’ve always heard of Funyuns (I wanna’ say I’ve heard them being referenced on That 70’s Show) but I’ve never actually tried them before, so I got just the one bag to try back home. It was pretty much like eating flavored rocks. No joke, these things are rock solid! No bueno! This I spotted at the Salmiya Co-op (different outing) but I figured I’d lump it in with this haul. So, Lindt is a pretty well-known Chocolate Confectionery brand. I’m not sure when, but they seem to have come out with a new line of Lindt Hello flavors, including Hello Strawberry Cheesecake. Obviously, I had to give it a try. First of all, it smells divine! Second, it tastes pretty yummy! Third, must have more! I’m happy to report that I’ve been noticing the Lindt Hello flavors popping up all over the place (mini-mart down the block from my home, local co-op, Sultan Center, etc…) ever since. Definitely give those a try! My favorite! Also, that time of the month so… yeah. We’ve already established that I enjoy fruit flavored yogurt (Pinkberry!) 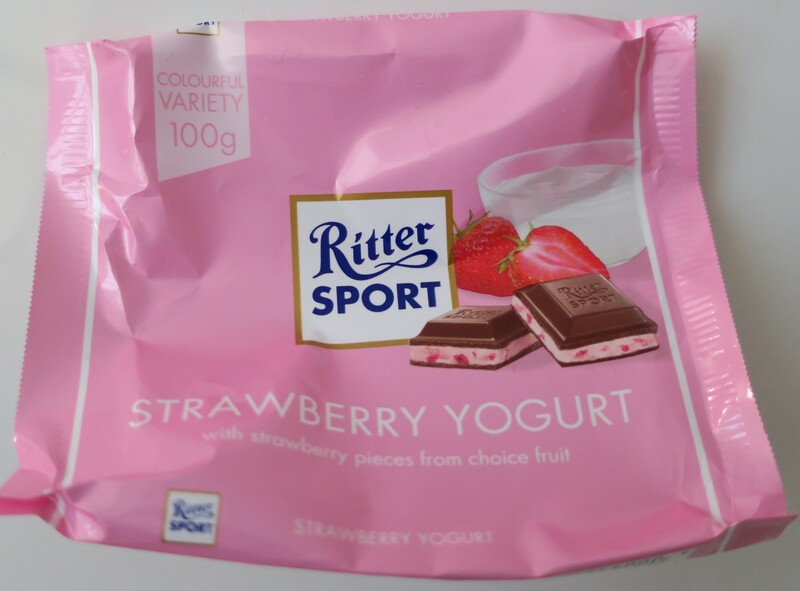 and fruit flavored dairy drinks (Actimel) and fruit yogurt flavored chocolate (Ritter Sport). So why not try Fruit Yogurt Candy? Plus, they looked so adorable, all swirl-y and stripe-y, kinda’ like Peppermints. That said, they do not smell pleasant, let me tell you. Also, they tasted really strange too (like they’re confused and don’t relaly know what they wanna’ be)… but I kinda’ don’t hate the stuff. I don’t think I’ll be repurchasing again, though. 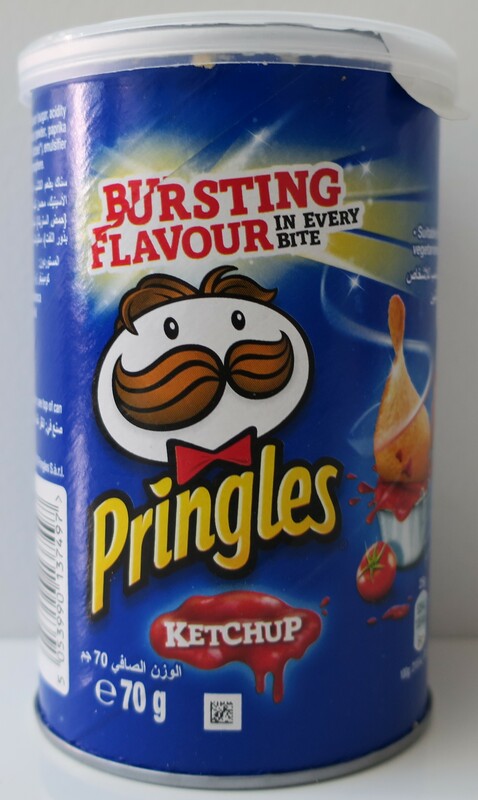 More of this L’usine stuff… Has this brand just always been around (in Kuwait) and I’m only just noticing it now? Is this a so-called Mandela Effect? Anywho, I love all things Apple, especially Apple Pie or “Apple Puff“, but I was worried it’d be rock-solid (I’m looking at you, Funyuns) because I prefer softer food (less jarring, as I mentioned here) but it turns out, this stuff is all nice and light and airy! Definitely going back for more, soon! This is my third Colgate 360 Charcoal Toothbrush! I switched to something else but I promptly went back to these because they are my current favorite! I could swear this one is different from the previous two, but I can’t quite place it, at the moment. They seem identical but I’m so sure they’re not. Anyways, these 360 Charcoal Toothbrushes are so good! The bristles are tiny! It’s almost like you’re brushing and flossing at once. It takes longer but it’s so worth it! Plus, they just look so cool! I love them!